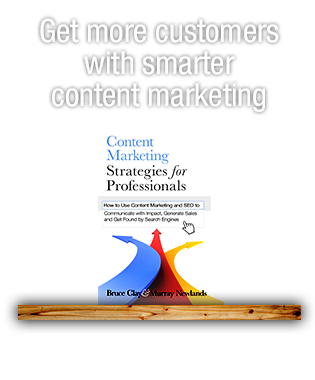 Since 2006, Bruce has posted annual predictions of what he expects will jostle the Internet marketing industry in the year to come. What follows are nine predictions by Bruce Clay on mobile, local, video, voice search, and shifts in the Internet’s dominant players. Mobile results satisfaction will be more important than any other technical issue. As of yesterday Google issued warnings through Webmaster Tools to webmasters whose websites contain critical mobile usability errors. The signs point to a mobile ranking algorithm that is near launch. Voice search will rapidly expand, a consequence of increasing mobile use. Long-tail searches will increase as a result of these unstructured voice queries. The first page Google results will be entirely made up of pages that are mobile friendly, fast, and contain mission specific content (answers questions). In order to serve long-tail conversational queries, Google will focus on serving results that have very specific answers to questions. 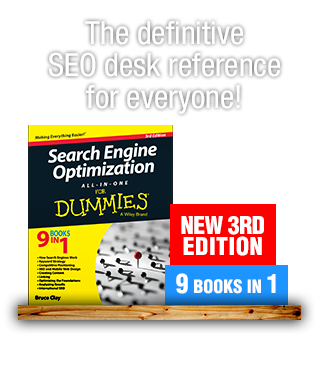 We’ll see fewer results at the top of page 1 which cover a theme in a general way, and more sites that cover very specific topics in-depth. Among the ranking algorithm’s variables that correlate with characteristics of E-A-T, expertness will come to outweigh authority and trust. With trust and authority equal, expertness will be weighted the most important. This is how Google will be able to algorithmically give preference to results that answer questions. The search engines will continue to emphasize local results on all searches. Local results will include opportunities for paid enhancements. I predict that more queries will include local results. Google reports slightly shrinking market share and they have growing pressure for increased revenue. With avenues for generating revenue in search limited to page 1, I expect local results will be the next SERP real estate to get paid results, sold as enhanced entries. These paid enhancements, a form of paid inclusion, could include coupons, phone numbers and images. Google will continue to fight spam via algorithmic changes, resulting in every site having some degree of penalty. There is no variable in the algorithm that is not worth protecting. Any activity outside the bounds of natural for every variable is subject to penalty. Google is going to be looking across the board to improve the results in every algorithmic category. I don’t expect to see new named algorithmic penalties. We may see small algorithmic penalties, in effect, smaller tolerances across every algorithmic variable. If there are 200+ variables in the algorithm, someone will be responsible for improving all 200 of them. As Google’s paying PPC clients complain of an inability to compete with Amazon, Google will be forced to launch a program to support ecommerce and compete with Amazon result listings. A large share of product purchases are going through Amazon. Amazon’s plan is to double that year over year. Amazon no longer needs Google searches because of the strength of its own brand and market penetration. Nobody needs to search in Google to find Amazon. Consumers going straight to Amazon to search for products threatens Google. Amazon’s growing strength in providing products will cause a decay in the number of people searching for those products in Google and an increase in the number of people searching for them in Amazon. PPC revenue will drop because fewer people will search Google for those products. I’ve also seen merchants of high revenue brands being squeezed by Amazon, as Amazon has set out to be the only distributor in high revenue product segments. Having fewer merchants leads to less PPC demand for those products. I see that Google will have to do something to strengthen the consumer use of Google for product searches. On-page video will be more heavily weighted as a ranking signal as bandwidth capacity today allows for video to be served for everyone. I’ve predicted this for some time, but bandwidth, especially on mobile, has gotten to the point where it’s justified. Video can communicate many words’ worth of content in a small area of your website. Users don’t have to scroll in order to receive your message, explaining your benefits to people, concisely. As mobile bandwidth grows it will be easier for users to download videos. Google has been working to add on-page video as a ranking signal for a long time. They own YouTube, so they have incentive to promote the importance of video, and they have a property with engagement and quality signals they trust. What we’ll find is that video is a signal of expertness, as well as an authority signal if the video is pulled in from YouTube. I expect Google to examine all of its properties, looking for what signals it can extract regarding expertness and authority. SEO will become more technical, but those doing SEO will become more than programmers. Marketing skills re-emerge as vital to doing the job. If you’re a successful SEO, you have to do several things. You have to be a problem solver. You have to be really good at games because this is a business simulation where SEOs are competing against the business’s competition. The only thing that could make the job of an SEO more fun is if Google introduced a game controller. If there was a game controller to play the game of ranking in Google, SEO would be a lot more fun because we could shoot the enemy. Instead, working to win within the Google algorithm is something that’s increasingly technical. And yet, in order to optimize for E-A-T, site maintenance, and usability (especially in the mobile world), the brands that will win in Google need to know marketing. To improve a site’s E-A-T and usability, you have to understanding marketing, reach, client psychology and how clients think, calls to action — and that’s influencing SEO more. 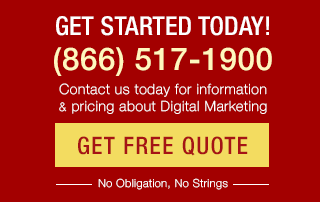 The marketing and messaging component is not a little discipline out there called conversion rate optimization. Technically minded SEOs will have a harder time incorporating marketing strategy into their methodology than marketing professionals will who integrate technical SEO requirements into their discipline. So, I expect marketing to absorb SEO. User experience will be a significant discussion point, causing conversion methods to evolve into a gentler experience. Consumers in many segments are maturing in regards to their ability to research topics and become familiar with any subject through self-directed learning. As a result, consumers are less receptive to a hard sell, seeing it as disrespectful to their tech savvy. Businesses will find themselves experimenting with a range of tones in messaging, with many finding more success with a familiar tone. Calls to action and conversion methods will soften. Bing will lead the search engines in market share expansion as the search engine’s marketing skills overtake Google’s programming skills. Google will maintain dominance of market share, but Bing will expand. Bing has one massive and timely opportunity to gain ground in the search market and that’s the mobile experience. If they hit mobile search experience out of the park, then Google won’t be able to touch them. I’ve watched a succession of Internet companies become dominant: Netscape, followed by IE, then Mozilla then Chrome, and what that tells me is that no one company is safe from being edged out, and it’s all up to the public opinion of what’s best and what’s acceptable. If popular opinion swings against Google due to Google’s increasing emphasis on the bottom line and an influx of sponsored results in search, competitors have an opportunity to shake up the status quo with a next-generation technology, and the biggest opportunity for that is in mobile. Keeping Score: 10 Predictions for 2009 — How’d Bruce Do? Thanks for the article. 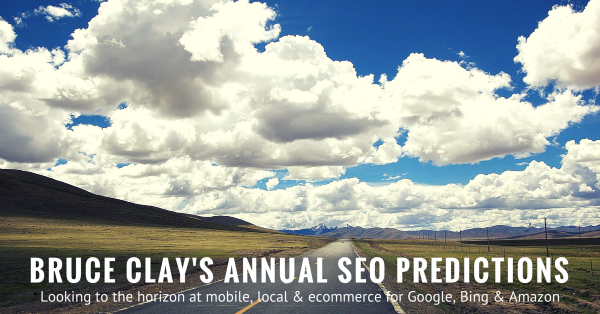 You have shared some great marketing predictions for the SEO industry, especially rule no #6. Thanks for that. I really enjoyed reading this article and I hope to read more like this in future. Wonderfully informative article. Like Matt LaClear, I also enjoy the fact that Google will be showing more love to responsive and mobile websites in the SERPs. I make sure every client understands the importance of having a responsive website, and how it will effect their current and future rankings. Thanks for the article. Number 6 is what I’ll be aiming for this year, just need to shoot some good quality video when I go travelling next and then post on my travel blog. Based on tip #2. Does that mean home page content should be a big factor. I see some sites with thin content as designers don’t like to use content. I have a client with lot of answers that are unique to their industry and I told the designer to place content Snippets to provide better UX for the user. They did not agree. He wanted to hide the content in a Yahoo style accordion menu. This I think hurts the SEO. With regards to Mobile. They have a a very small version of the website on mobile. Couple of pages. Will this create problem. Can any one shed some insight. The Website which has been made with the purpose for Mobile interactive and desktop interactive that is huge benefits for SEO Agencies. I love the fact that the algorithm is really starting to favor the mobile friendly sites of local businesses. It makes it a lot easier to upsell responsive site conversions for one. Plus if a client has any type of budget at all it’s not all that hard to get them ranked anymore if you know what you’re doing. I’m praying Bruce’s prediction #8 comes true quickly. When that happens we’re all going to me much happier for it. Plus most of our competitors most likely will be very slow to pick up on anything to do with user engagement metrics improvements. Will be a nice little advantage we can hold over them for as long as we can. This is very useful thing to improve the PPC market. Google must include the local results in PPC. Good predictions regarding SEO for 2015. Glad to see that E-A-T is still a focus as we move into 2015. I covered EAT (Expertise, Authoritativeness and Trustworthiness) in detail at Pubcon in my SEJ interview with Loren Baker titled “Google Authorship is Dead: Long Live AuthorRank.” and again in November at State of Search. Pretty much what I stated was word-for-word what Bruce says in 2 and 7. What I would add though is that it is actually EASIER to compete on “expertise” than it is on Trust and Authoritativeness. To Google, the “expertise” quotient can and is pretty easy to fulfill just by asking and answering the right questions of your site audience and generating positive content to meet those identified needs. It’s the “Trust and Authoritativeness” metrics that are much harder to influence. And that means not only building up the inherent strength of your publishing domain but actually SEEKING OUT and generating bylines (for your and your clients) tied to your own profile on peer-reviewed and high-trafficked domains (other than your own). This is absolutely going to increase in value in 2015 and it has too. The average person is exposed to 250+ pieces of content each day. Google can’t competitively serve them all. So building up your EAT is essential to getting your content positioned highly. Insightful predictions, I’m just not sure about number 5, about Amazon competition. In theory, Google should naturally foresee that a lot of market leaders will take the lead in the results page and stay there for long periods of time — even in a special case as this one. If Amazon results won’t interest people so much along the time (because they are already making searches inside Amazon.com), then Amazon results should naturally decay as a permanent top position. The predictions are realistic. Especially #6, I am personally experimenting on the same point. I have already added videos and multimedia content to few of my sites, and they are performing much better. Not only videos, infographics can outperform plain text content. Totally agree with you @Bruce, specially no. 7. I think its important that seo / programmers integrate structured data when creating or doing onpage seo. If anyone noticed, the first thing that google changed this year is the structured data testing tool under WebmasterTools. I believe that means they consider it to be something of importance. Hi Georgiy. Good point — social media is absent from Bruce’s predictions. I’ve talked to Bruce a lot about the role of social media in a brand’s overall marketing strategy, and social media is an important dimension of a holistic digital marketing strategy. Bruce looks at social media as a branding and awareness channel, and I agree. Engagement, community size and relevance is key to building a brand and opportunities for visibility. SMM is no waste of time. Keep spreading that content socially! Very interesting read, I also think Google will down grade or maybe even stop showing sites that aren’t mobile friendly, with them now showing that little symbol to warn users the site isn’t mobile friendly when you’re on a mobile lol, I think they are just giving folks the heads up and over the years I seen my own sites go from a trickle of visitors from mobile to a decent chunk now so think mobile will be very important. I also wonder if this metric will find its way into the desktop algo ie having a mobile version shows that business is more serious etc. Finally a list that has begotten 10 ways of being awesome that you must read. Thank you Bruce, bang-on IMHO. I would add another point, I think Google will continue to pervert its results value with an AI rampage that has big, bad fuzzy consequences it can’t completely control . Thanks for an excellent article Bruce. I certainly agree that mobile is going to be key over the next two years. Because they just started rolling out websites which are not having Mobile Friendly (Responsive Websites), and sending Warning messages to WMT (Web Master Tools) to solve it immediately! having a website which is mobile friendly it will definitely benefit you. I think #3 is really important. Geo-Location based queries are emerging. We have seen amazing changes in search results lately. yes SEO will become more technical and this is the event where we may separate SEO from web development process. Excellent Post, very informative, every predictions are great. SEO will become more technical, but those doing SEO will become more than programmers. Nice point!!!! Great article I wrote a similar article on my blog about SEO trends for 2015 and shared quite a few of the same points. That being said although I did name mobile performance as a key point to focus on I didn’t realize it would matter to the extent you mentioned. With that being said I curious about your thoughts on WordPress websites and if you feel they will be on an even bigger upswing in 2015? I guess it depends on the theme but I find a lot of WordPress websites don’t always look great in mobile form and can have slower load times in certain cases as well. Any advice there would be greatly appreciated! Hi Scott. Thanks for reading and for your question. YouTube is such a behemoth of video content. Our approach to online video content is that well-optimized landing pages that feature self-hosted (or YouTube embedded) videos can outrank YouTube. In fact, we do this for our clients all the time. If you’re creating a video, treat that video as a piece of website content and perform website video SEO. In an article I just found to help describe this, it explains, “Website Video SEO is really just an extension of regular website SEO, and website publishing best practices.” (Source ReelSEO.com http://www.reelseo.com/website-video-seo-vs-youtube/). Good luck, Scott. Let us know what you think. I think #6 is really interesting. I’ve always wondered if there’s a way to compete with YouTube – it’s such an ubiquitous pervasive video platform. I’m wondering if there’s a way to host with YouTube and yet rank for video on your page? Any suggestions?